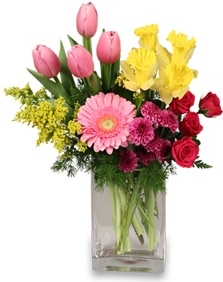 At Albany Floral & Gift Shop, we customize designs with you in mind! We're a local Albany, Georgia florist delivering courteous, professional service and the highest quality floral and gift items around since 1990. We hope you enjoy your online shopping experience with secure 24-hour ordering at your fingertips. If preferred, you may call us to place orders direct at 229-436-3387. Call or stop by our shop in Albany. Choose from our nice selection of Green Plants, Blooming Plants, Dish Gardens, Fruit & Gourmet Baskets, Gift Baskets, Baby Gifts, Candy, Greeting Cards, Home Decor, Scented Candles, Silk Flowers, Stuffed Animals and more! Our beautiful selection of high-quality flowers and eye-catching design styles are sure to bring rave reviews on your wedding day or at any festive occasion - large or small. Call our shop in advance at at 229-436-3387 to schedule your consultation. Call or visit us today… we look forward to meeting you! Thank you for visiting our website for flowers delivered fresh from a local Albany, GA florist and easy online ordering available 24 hours a day.